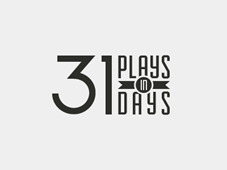 Welcome to my second 31 Plays in 31 Days attempt! Last year's effort yielded productions and/or publication opportunities for no fewer than nine of my plays. Not bad! And much, much more than I expected.